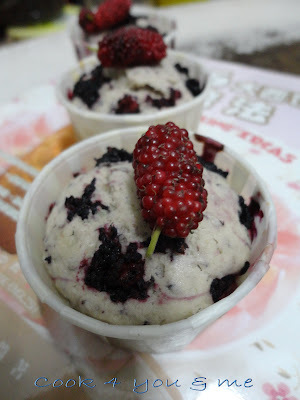 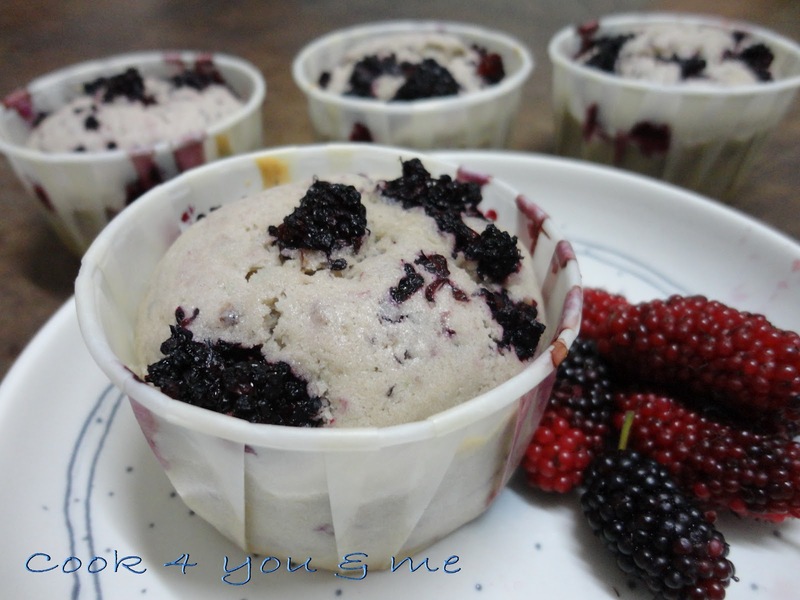 This time i try to use mulberry to make muffin.I modified it from blueberry muffin.I will go to Jusco and buy more mulberry.I want to try the difference way to eat this mulberry. 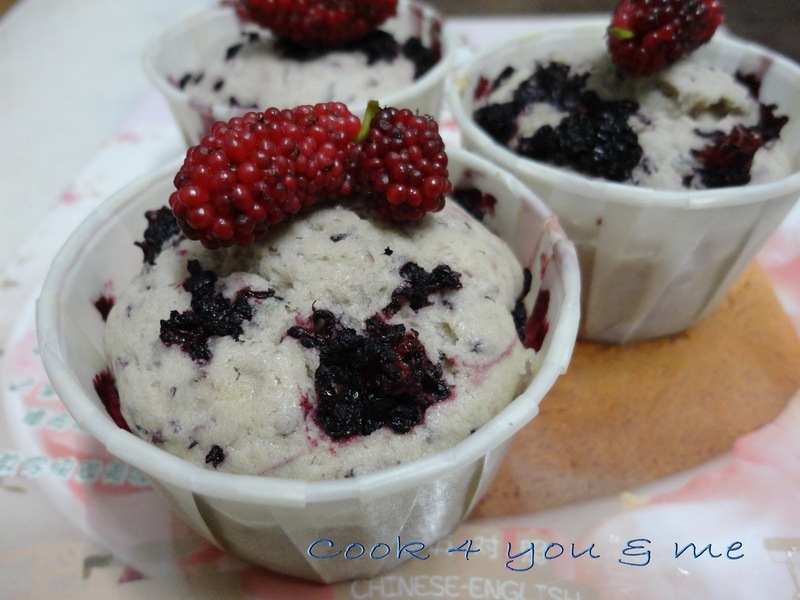 Mix eggs,sugar,melted butter,milk and vanilla essence in a mixing bowl. Sift in flour,baking powder,salt and stir well.Gently fold the mulberry into the batter. Spoon mixtures into paper cup until 3/4 full.Bake in a preheated oven at 180'c for 20-30 minutes.